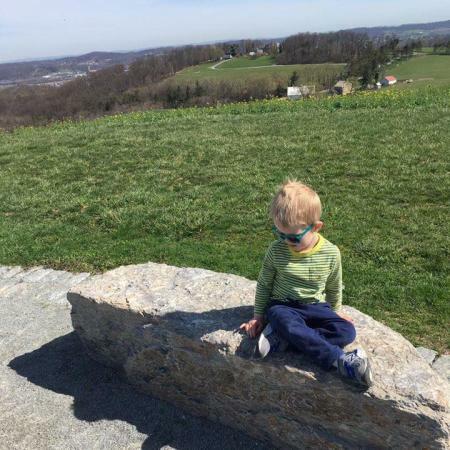 When it comes to hiking with kids in York County there is no better source than the parents of Hike It Baby Hanover-York. No matter the time of year, weather, or time of day, these intrepid parents and caregivers are out on the trails with infants, toddlers, young kids, even teenagers. 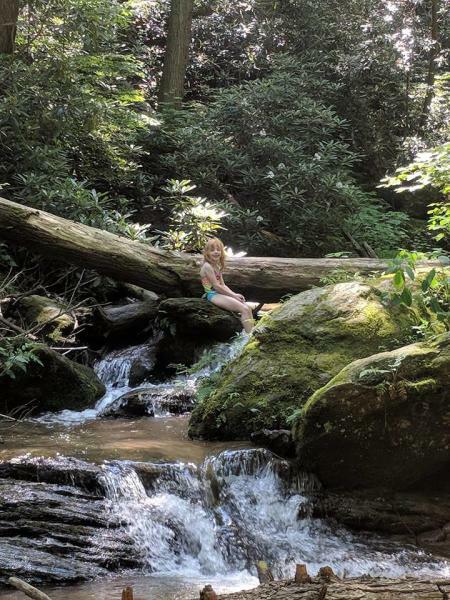 We asked what their favorite trails in York County to explore with kids were, and boy did they come through! Sara - I like High Point Scenic Vista. It&apos;s a short, easy hike to the vista. Appropriate for a jogging stroller. Awesome views of the river! Highpoint Scenic Vista & Recreation Area offers 79-acres of scenic meadowlands located on top of a hill over-looking the Susquehanna River. This park was created in 2007 and provides spectacular views of the river. The 193-mile Mason-Dixon Trail also runs through the park. Wrightsville offers a wealth of outdoor and historic activities in addition to Highpoint. The Zimmerman Center for Heritage offers a look at the history of the Susquehannock Indians, who first inhabited the area. While you are there ask about the Junior Ranger Program where your youngsters can learn about reducing their environmental impact. After a day full of activities, you’ll want a satisfying meal. Luckily, John Wright Restaurant is just down the road. Situated on the banks of the Susquehanna, you’ll be able to enjoy a great meal while taking in and equally impressive view. After your outing in Wrightsville you should have lots of Instagram worthy photos to share. Make sure you share them with us #ExploreYorkPa! Jessica - Nixon nature center is also a favorite! 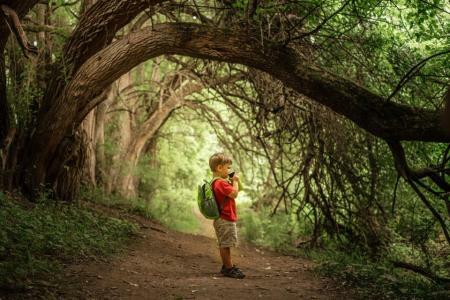 Richard Nixon County Park features six miles of hiking trails designed for “quiet observation of nature,” which means you won’t have to share the trails with bikers or horseback riders. Help your littles achieve that goal by printing out the Quiet Walk Brochure offered on their website. Inside you’ll find facts about the environment and highlights of the trail, making this outing with your kids both fun and educational. 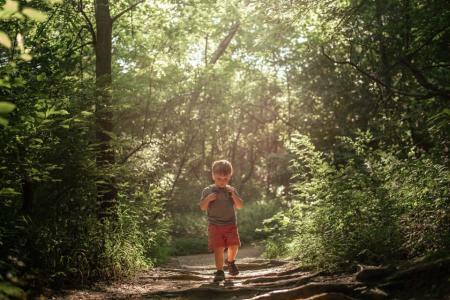 Once you’ve taken in the walking trails make sure to head into the Nature Center where you can find a working honey bee hive, amphibians of PA display, live reptiles, birds and mammals of PA, a children&apos;s touch room and much more. When it’s time to leave, there is no better treat to end your day than fresh churned ice cream. Less than ten minutes away you will find Perrydell Farm & Dairy. Perrydell is a family-owned dairy farm. Go on a self-guided tour and you could see cows being milked (3:30 - 5:30 p.m.), calves being fed (4 p.m.), or milk being bottled (Monday, Wednesday, and Friday 7:30 - 9:30 a.m.). After your tour, treat yourself to a cone of hand-dipped ice cream! Tiffany – The Lock 12 hike is one of our favorites! Such a beautiful area and great place for kids to play in the water!! Part of the Mason Dixon Hiking Trail, the Lock 12 parking lot is a great place to start for this hike. The terrain is a little uneven, but well worth it for the beautiful scenery. The trail travels through the woods, past the ruins of a saw mill, and up a slight incline to end at a beautiful waterfall. If the weather is warm kids can splash in some of the smaller pools created by the waterfall and grab a quick snack before turning around to head back to your car. If the kids still have energy to spare, there is plenty in the area to do. Indian Steps Museum is just down the road and home to more than 10,000 Native American artifacts which all tell stories of the original local inhabitants. Or take a quick fifteen-minute drive down the road to Ma & Pa Railroad where you can ride along a portion of railroad that used to connect York to Baltimore. Also nearby, Maize Quest Corn Maze & Fun Park includes corn mazes, bamboo mazes, a jump zone, gem mining and much more. Jessica -Our absolute favorite trail is the ranger trail at Codorus State Park! Lots of different options, beautiful lakes views, and an amazing place to watch the sunset. 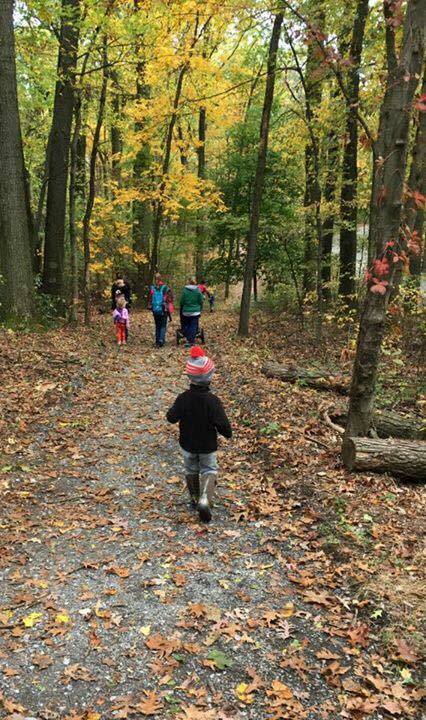 Codorus Park offers 19 miles of trails, many with loop options making it easy to break up the long distances into smaller treks for tiny toes. Best of all, there are lots of options for activities nearby in Hanover. Make a day of it by exploring this beautiful section of York County. Sara - I like Rocky Ridge, hiking to either the north or south outlook. Again, an easy hike with a rewarding view at the end. Plus, there are playgrounds which is motivating for the kids. Rocky Ridge Park was acquired in 1968, making it the first county park. It is perched on a rock-strewn hilltop northwest of Hellam, which is one of the first places the county&apos;s original settlers established homes. Featuring two observation decks with views of the Susquehanna Valley and York Valley, Rocky Ridge has over twelve miles of hiking trails. The Nature Fun Zone playground gives kids ages 2-12 a fenced in area where they can play with nature. The area features different zones such as a digging zone, a climbing zone, a quiet zone, a building zone and more. If your kids want to get up close and personal with some animals after all that walking, check out nearby Alpacas of York. This picturesque 21-acre farm houses friendly alpacas which you may feed and pet. Make sure to stop by the farm store where you can pick out handmade accessories, many with the wool from the Alpacas you just got to pet.